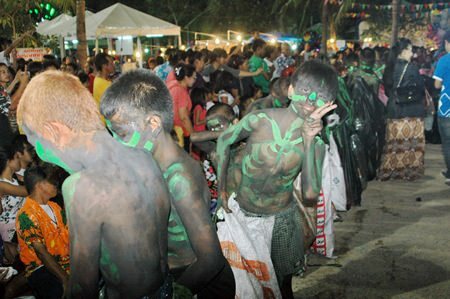 Communities in Naklua celebrated their annual Rice Festival on April 20, and observed the ancient, ghoulish customs of appeasing the sprits that same night. 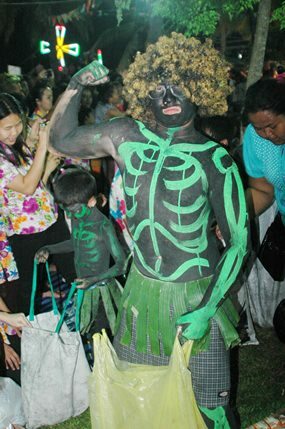 The annual Kong Khao Custom follows an ancient belief that in order to have a successful year, one must pay respects to wandering spirits that have no living relatives. 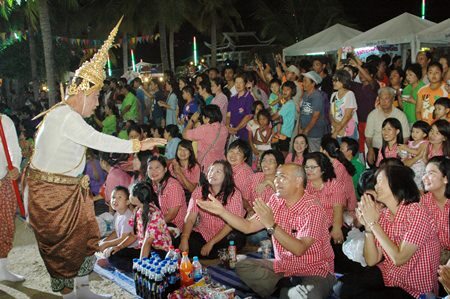 The custom of appeasing the spirits is thought to bring good luck and prosperity to the community. 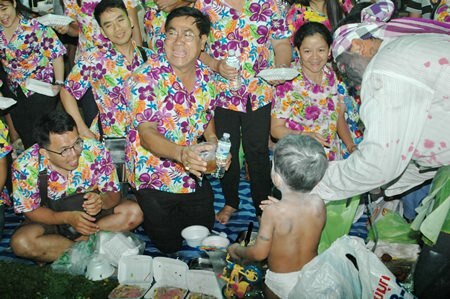 Chonburi is the only province in the country where the annual rice appeasement ceremony is held. 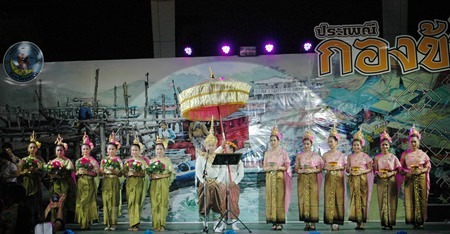 In the past, the festival would include inviting a spirit to enter a selected body at the Chonburi City Pillar Spirit Domicile for three continuous days. 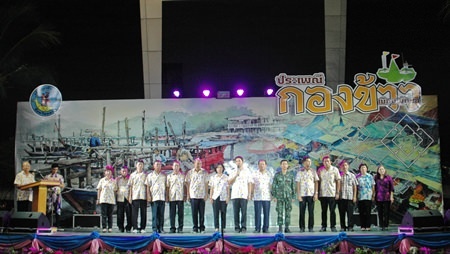 Mayor Itthiphol Kunplome and Pattaya City council members preside over the opening ceremony at this year’s Rice festival. 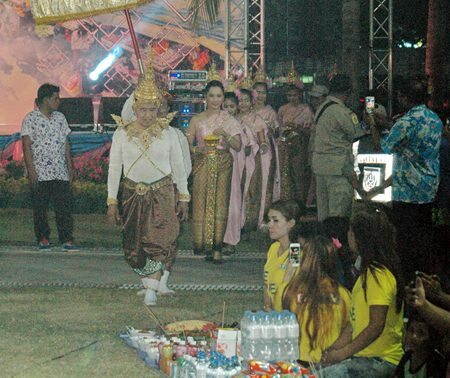 In the Naklua area, Pattaya Mayor Itthiphol Kunplome presided over the opening ceremonies. 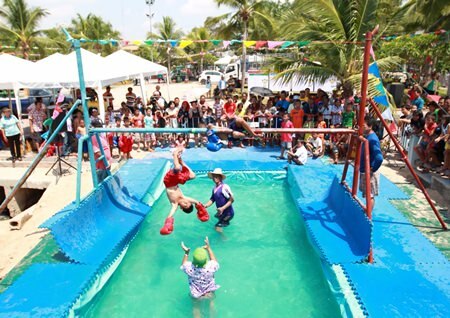 During the day, the celebrations included sling-shot shooting competitions, “sea boxing”, oily post climbing, and a tug-o-war. 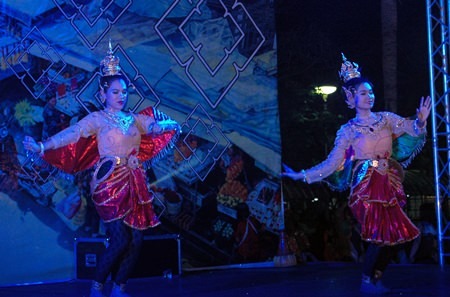 The entertainment was provided by students from Pattaya School No. 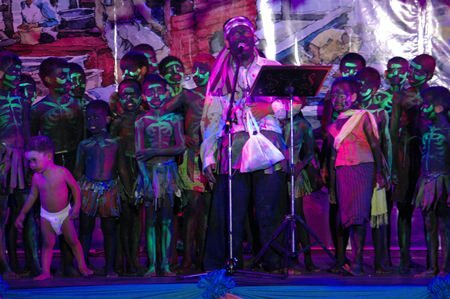 9, who put on a concert to entertain the festival-goers. 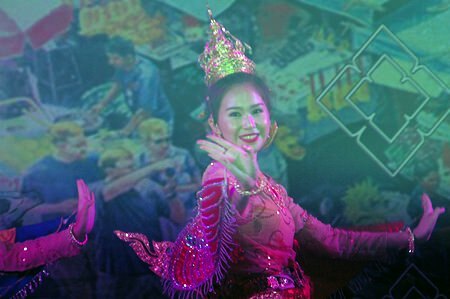 The area’s best sharpshooters take aim in the slingshot competition. 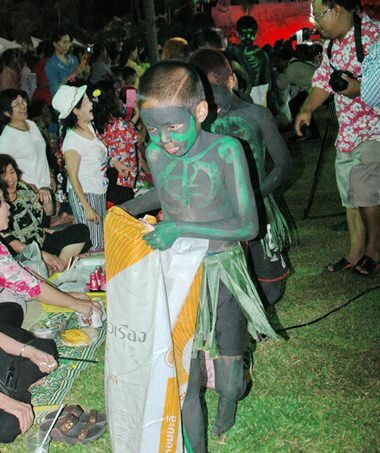 The Kong Khao ceremonies began at about 6 p.m. when young and old, rich and poor flocked to the area dressed as frightening spirits and lost wandering souls. 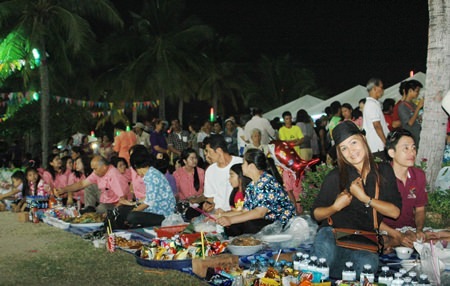 They then circled the ceremonial location where foods and desserts had been set out for them. 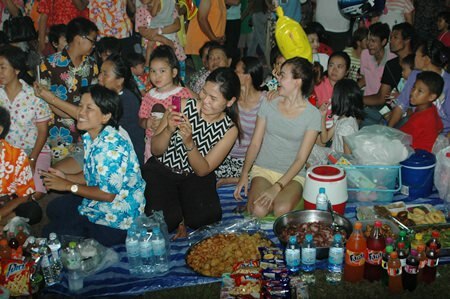 As the skies darkened above, the spirits slowly moved in on the prepared foods and either devoured their selections on the spot or wrapped up the delectable delights and cheerfully returned to their spiritual abodes. 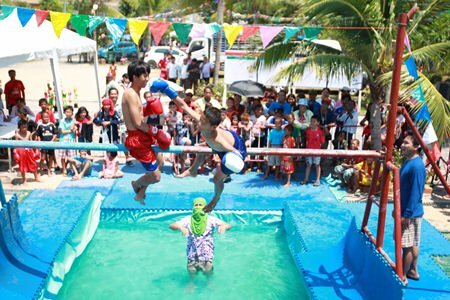 Youngsters battle in the traditional sea boxing competition – stay on the pole and you win, fall off and you lose. 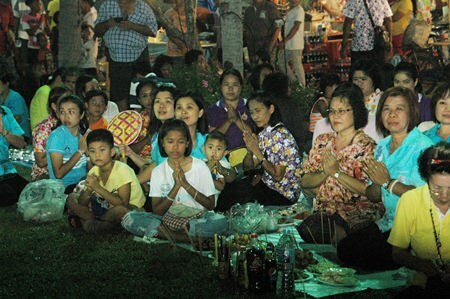 Once the spirits have been appeased, the community members joyfully sit down and devour the remaining foods with the feeling that the rest of the year will be free from unseen antagonists. 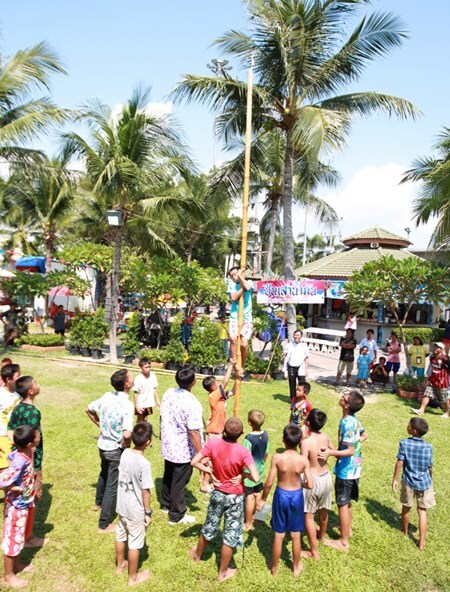 There is money at the top of the greased pole – anyone that can grab it, wins it. 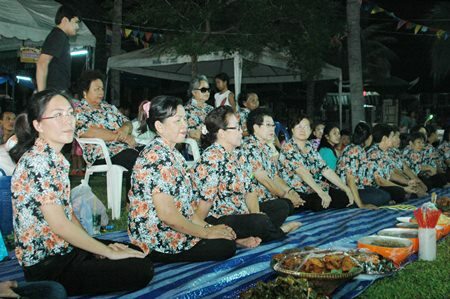 The residents from Soi Post Office wore colorful flower “team” shirts. 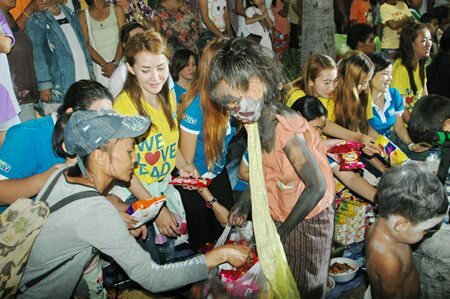 The main spirit speaks to the humans before he feasted on the food. 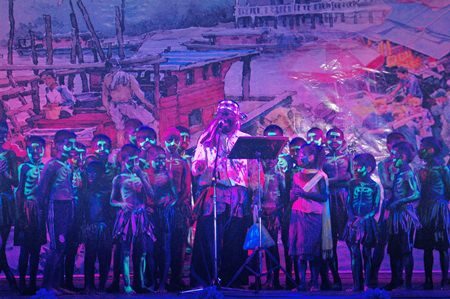 There was only one female ghost amongst the gang. 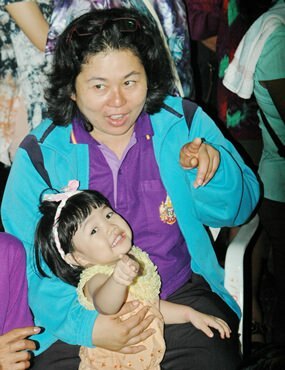 “Look Mae, a ghost!” Namon says to her mother. 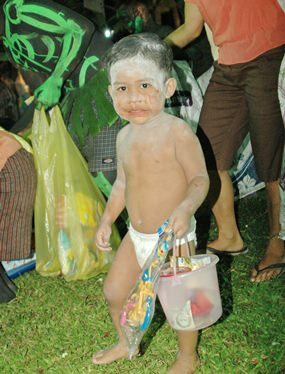 The ghost chief’s son gathers food and gifts, clad only in diapers. 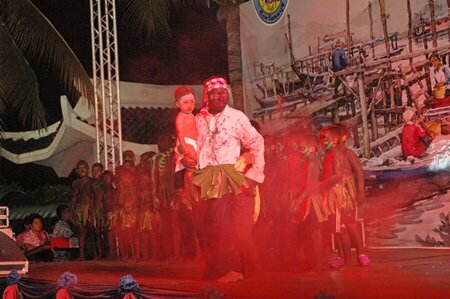 The chief ghost holds his son and lines up his other dominions in front of the crowd. 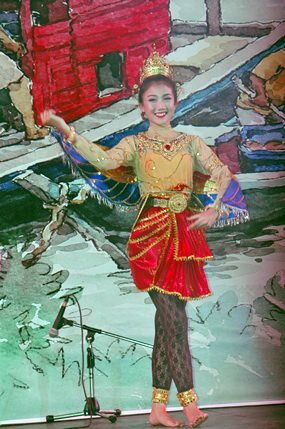 Jesters’ Fair is this Sunday!